The words ‘understated elegance’ were used many times to describe Katherine’s dress and the floral decorations of both the Abbey and of the bouquets as well. The classic use of green and white was so in keeping with the day and a combination which is popular in classic English gardens and made famous in the White Garden at Sissinghurst. Some of the plants chosen for the wedding can be used to create a white garden or white bed. The two plants used in Katherine’s bouquet were Lily of the Valley and Myrtle. Lily of the Valley (Convallaria majalis) is a old favourite in gardens. The only thing about it is that it spreads aggressively to the point of being a pest. It does this by spreading out underground rhizomes. It is however popular in gardens, grown for its scented flowers and for its ground-covering abilities, especially in shady conditions. Be warned though, once you have it, it is difficult to control. Apart from the classic white variety, there are several other cultivars available. These include double flowered, pink flowered and variegated leaved varieties. The first member of the royal family to have myrtle in her bouquet was Queen Victoria. A cutting was planted and grew into a bush. It has been tradition since the wedding of Queen Victoria that a sprig of that myrtle bush be included in each royal bouquet and so it was with Katherine. This relatively slow growing evergreen is popular for its compact growing habit and wonderful scented foliage. It can be used for hedging as well as a structural feature shrub. The Abbey itself was decorated with several white flowering plants that are currently in bloom. This great Viburnum variety is grown for its appearance rather than its scent. 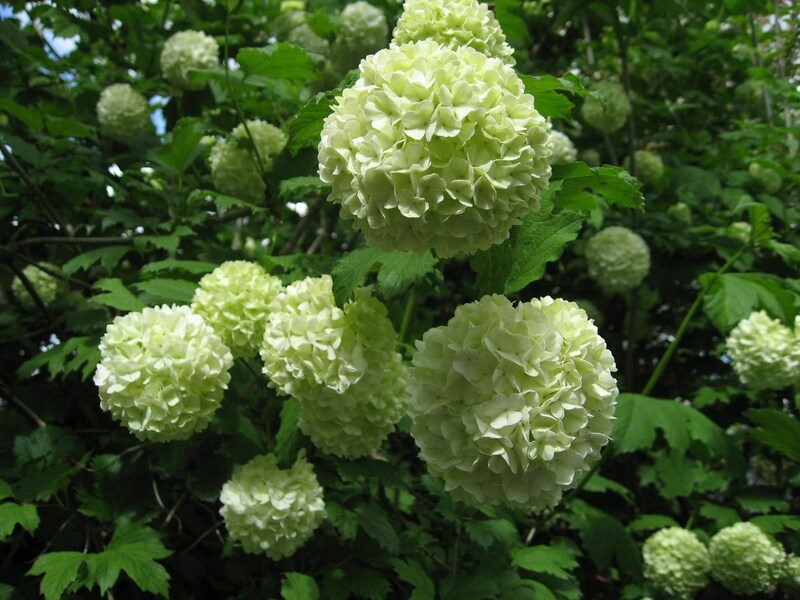 Commonly called the Guelder Rose or Snowball Bush, these hardy, deciduous shrubs flower in April and May and happily grow in most conditions and aspects. Ultimately growing to 4 – 5m tall, they make a very dramatic statement in the garden. Polygonatum multiflorum (Solomon’s Seal) is a pretty woodland plant spreading well amongst the trees. 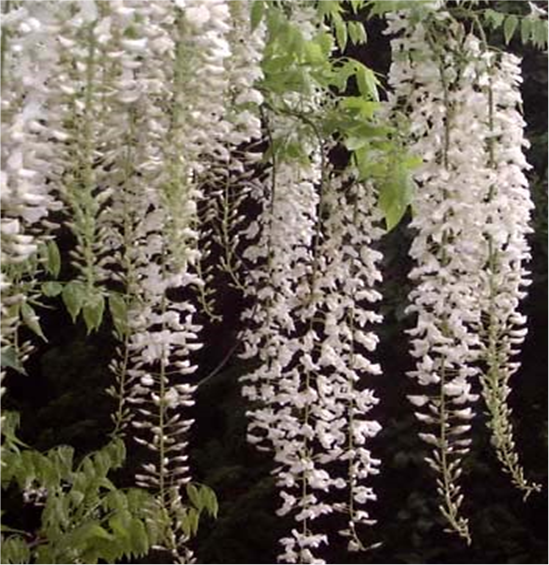 It is also popular in a cottage garden style environment and flowers in April and May when it produces graceful, arching stems of oval leaves and dangling, green-tipped, white bells that persist throughout late spring into early summer. These provide excellent interest especially when planted with plants such as dicentra or hardy ferns, creating a great combination that lasts all summer. High above the screen in the Abbey, floral decorations included the white flowering wisteria – Wisteria sinensis ‘Alba’. Less popular than the lilac and purple varieties, the white flowering wisteria looks really effective when trained up a red brick wall. It produces a profusion of racemes throughout April, May and into June giving off a beautiful scent. It is wonderful over an arch or pergola as well. Rhododendron ‘Cunningham’s White’ is a commonly available white rhododendron Mauve buds open to white flowers with a pale yellow eye in early May. It is a compact, dense variety which is good for screening. An innovative touch, the use of the six Acer campestre (English Field Maple) to create an avenue for the royal couple to walk down and the two Carpinus betulus (Hornbeam) at the top of the aisle, softened the austere interior of the Abbey. These trees are indigenous to the English countryside and are an excellent addition to any large garden. This is a tall elegant tree growing as high as 25m although it is relatively slow growing. It does maintain a good shape, which makes it a good feature tree in a large garden. Being native to the Southern part of the UK, it does put up with our weather more effectively than the smaller and more delicate Japanese acers. Growing to a similar height, the common hornbeam is a broader shaped tree but is often used as a hedging plant as well despite it being a deciduous plant. Thankfully, the eight trees used for the wedding won’t be cast aside. They are due to be planted at Highgrove. So, if you have a semi-shaded corner and would like to plant a commemorative royal wedding bed or would just like a white bed, this is a good start.